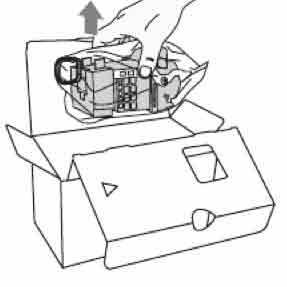 Changing your Sony KDF-50E2000 LCD TV projection lamp is simple when you follow our guide. 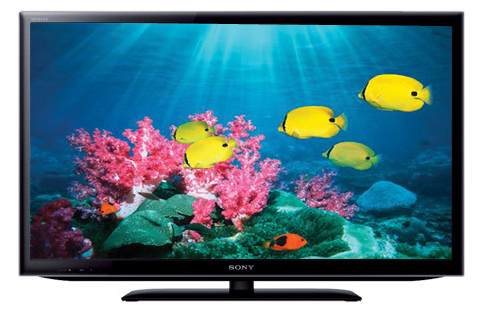 Don’t settle for anything but the best for your Sony KDF-50E2000 LCD TV. That means avoiding generics that can damaged the sensitive components in this sophisticated machine. 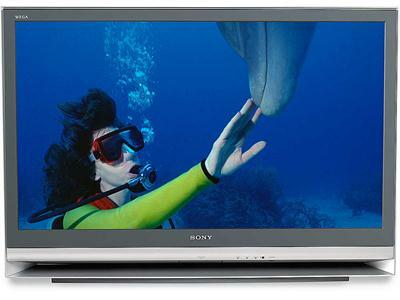 Look for the seal of approval — before buying a Sony KDF-50E2000 LCD TV projection lamp. Don’t get caught with a copycat generic projector lamp! Learn to spot lamps posing as authentic lamps. The Sony KDF-50E2000 LCD TV uses the Sony XL-2400 (F-9308-750-0) projection lamp. Your Sony KDF-50E2000 TV should get about 8,000 hours from the projection lamp. When the Sony KDF-50E2000 lamp is reaching end of life, a replacement warning message appears on and the Lamp indicator on the TV starts flashing. You may hear a noticeable popping and this is normal. Other warning signs include poor color and a dim screen. Turn off the power on the main unit. 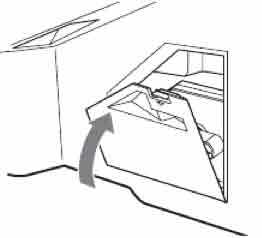 The cooling fan will continue to operate for two minutes after the power is turned off. Wait several minutes before unplugging the power cord. Wait an additional 30 minutes to allow the lamp to cool down. 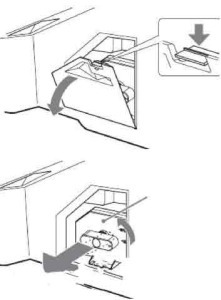 The lamp operates under extreme so avoid touching it before changing the lamp. Take the new Sony XL-2400 projection lamp out of the box. Don’t shake the lamp as vibrations can damage the lamp. Avoiding touching the glass portion on the lamp as the oil from your fingers can burn black marks on the lamp. Remove the outside Sony XL-2400 projection lamp cover. 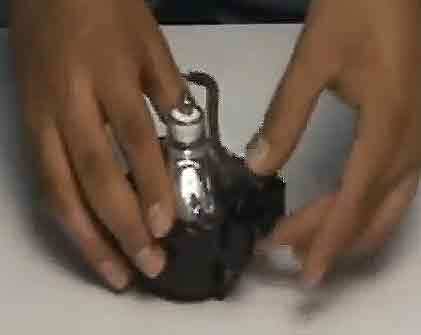 Turn the knob counterclockwise to open. Pull out the cover. 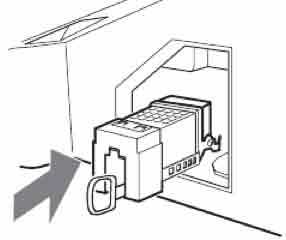 Pull out the Sony XL-2400 projection lamp by first hooking a finger through the loop of the lamp handle and pulling the handle upwards. Then pull the Sony XL-2400 lamp straight out. Put the new Sony XL-2400 projection lamp into its place. 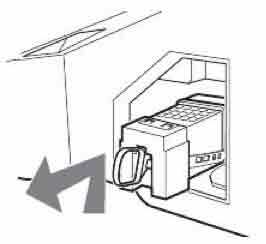 Mount the new lamp securely or the self-diagnostic function will be triggered. A loose lamp can also cause the screen to go dark. If you interested in going green with your Sony KDF-50E2000 LCD TV, you can replace only the projection bulb and re-used the plastic casing. This can save your money plus help reduce waste by recycling. Watch our training video to learn more.